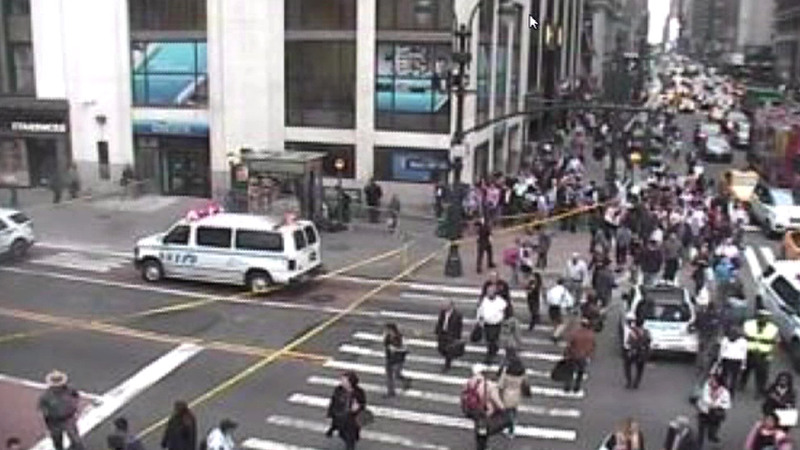 NEW YORK (WABC) -- Police are investigated a suspicious package near Penn Station. As a result, the LIRR entrance at 34th Street and 7th Avenue was closed, but it has since been reopened. Police first received the call around 5:17 p.m. on Monday. After an investigation, the suspicious package was found to be just an empty suitcase and not a threat. All entrances are now open.